The history of Yoga in India is very long. Its existence has been noted in oldest form of literature’s like the Vedas, Upanishads, Panin, Buddhist Literature, Puranas etc. In our Indian yogic culture, the first guru or rather the ‘Adi Guru’ is considered to be Lord Shiva. Lord Shiva in yogic practice is known as the relentless meditation expert. After the end of Vedic era, Yoga was also known as “Satapath”. What does the word “YOGA” mean? India is the birthplace of Yoga. This word Yoga has been derived from a Sanskrit word “Yuj” that means bind, join or to unite. Yoga is the union of our individual soul that is known as Jivatma and Supreme universal spirit that is known as Paramatma. In the ancient period, it was a secret system (Yoga), which was only known by some of the people. It was a practice that was done and elaborated in a small community because the Yogis were afraid that Yoga will go into wrong side and hands and would be misused in the coming time. During those times yoga was practiced in the mountains deep within uninhabitable areas, so that general public would not see it. According to the Yogis, Yoga was believed to be a very mystically capacity of the body and mind that improved their health and mind beyond natural capacity. No, Yoga is not specific to any religion. Yoga has been mentioned in ancient Veda’s scriptures and literature’s too. Yoga does not represent any specific caste, creed, community or religion. It is meant for one and all. There are techniques and methods for one and all. Age or disabilities are never a hindrance for practising Yoga. From a 1 yr old kid to a 90 yr old disabled patient, there is yogic technique for one and all. Bhakti Yoga, Raja Yoga, Jnana Yoga, Karma Yoga, Dhyana Yoga, Buddha Yoga, Kundalini Yoga, Laya Yoga, Jain Yoga, Hatha Yoga, Mantra Yoga, Patanjala Yoga among many more. Keeping aside its history of yoga, it has so many benefits, beliefs, and practices that are helpful to everyone in one or another way. Being completely holistic, Yoga can be practised by every person to stay fit and healthy. Yoga works on the body, mind, emotions and energy of a person and helps in making one better from the inside. Yoga is the most ancient practices in India that is currently being extremely appreciated and followed worldwide. Rishikesh is turning into a major spot where people are coming from all around the world to learn more about Yoga. Rishikesh has made a name for itself as one of the best places to visit, if one wants to learn more about Yoga and its practice. They have special training programs for people interested in becoming Yoga Instructors. 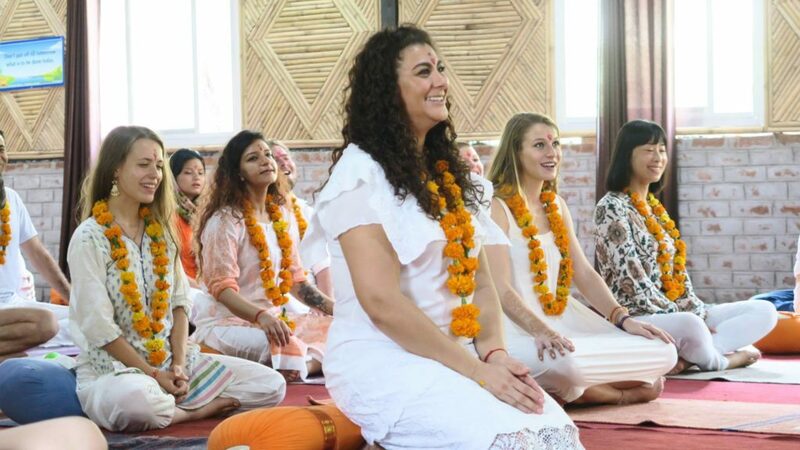 One of the most popular programs, “the 200 Hour Yoga Teacher Training in Rishikesh” is a perfect course for the ones who actually wants to be trained perfectly as a Yoga Practitioner/ Instructor.